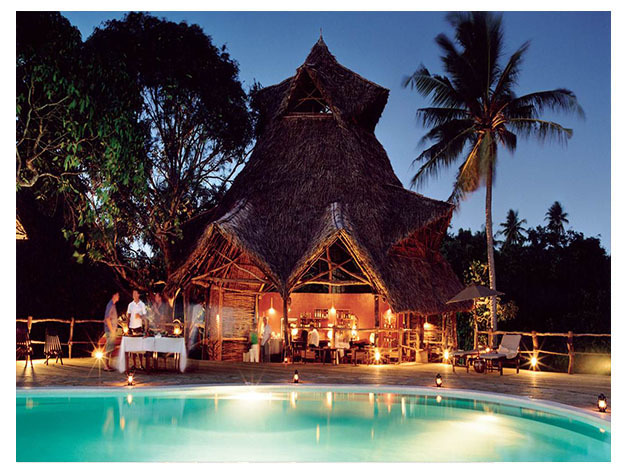 Fundu Lagoon is a small privately owned boutique hotel in Pemba offering natural barefoot luxury in a unique Tanzanian setting and reached by plane or boat from Zanzibar. There are eighteen tented safari style bungalows, some on the beach and some on the hill side, but all with breath taking views of the Indian Ocean. Fundu has some of the best diving in the world and was recently voted Best Marine Safari Property in Africa. Fundu is an idyllic place to unwind and enjoy total peace and relaxation, whether it be lingering poolside or enjoying the spectacular sights of the Indian Ocean. On a beautiful beach fringed by natural forest, the hotel offers complete privacy and the experience is both restful and restorative. It is an ideal place to visit whether you are an independent traveller or looking for a honeymoon beach resort. 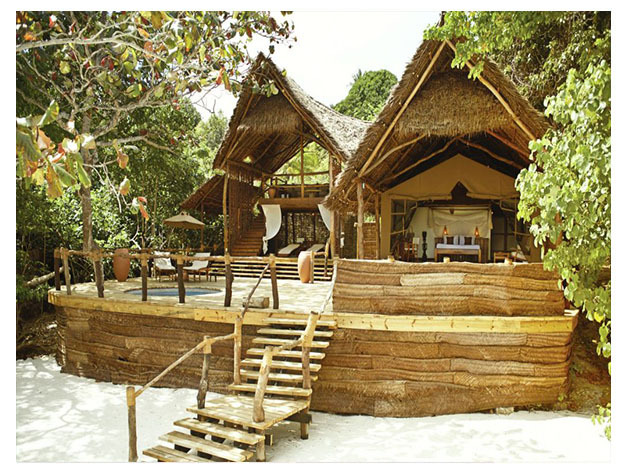 It is also a favourite safari beach destination, the privacy and natural surroundings being a perfect place to relax after a safari in Kenya or Tanzania.